In everyday use, your users should only be equipped with the appropriate authorizations for their areas. This applies to ordinary users but also to administrators, developers and on-call personel. In special cases increased rights are necessary. In these cases, SUIM’s Emergency Handler allows a temporary allocation of increased rights. All actions performed by the user during this time are recorded for auditing purposes and internal control. In emergency and similar support situations, the responsible employee needs access to the relevant IT systems. A user is required with the appropriate permissions and password. For various reasons, the employee’s user may not always be assigned the necessary authorizations. In this case, the employee must be provided with sufficient authorizations temporarily. These requirements can be covered in terms of allocation method and allocation process by two solution principles. Both principles have advantages and disadvantages in a specific context. 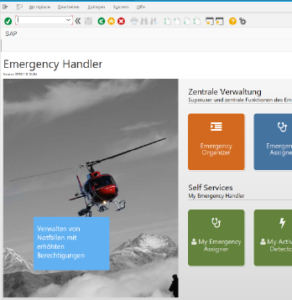 SUIM’s Emergency Handler includes functions that cover both solution principles. A complete recording of all activities that are carried out by the user during an emergency. In an emergency situation, large potential risks can arise from the additional authorisations deliberately assigned. This must be counteracted by ensuring that all activities are recorded and can analysed. If risks occurred, these must be identified and reviewed. SUIM’s Emergency Handler guarantees auditable security by logging all activities with and in the Emergency Handler (opening, termination, customizing, etc. ), as well as all results of the Activities Detector and making them available to subsequent checks. Optionally, the Compliance Enforcer can be used to perform a check of actual data during an emergency against the defined business risks. 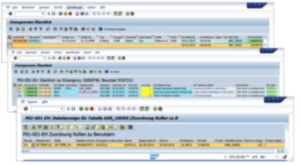 Within the AIM software suite, the Emergency Handler is an independent module. Some of its functions are also used by modules from our other tools (e.g. Access Manger, Access Manager for Support Organizations, Identity Manager and Application Tracer). The recorded emergency data can optionally be scanned by the Compliance Enforcer for occured risks during an emergency.